Recent photos to SS501 leader Kim HyunJoong and also known as ‘Korea’s JiHoo Seonbae’ after being casted for the hit drama Boys Over Flowers earlier this year have been circulating online. And netizens point out that he looks different now. Agree? Lol, I think he has put on some weight. It’s good since I think he took some quality for rest after Boys Over Flowers. More flesh on his cheeks now. 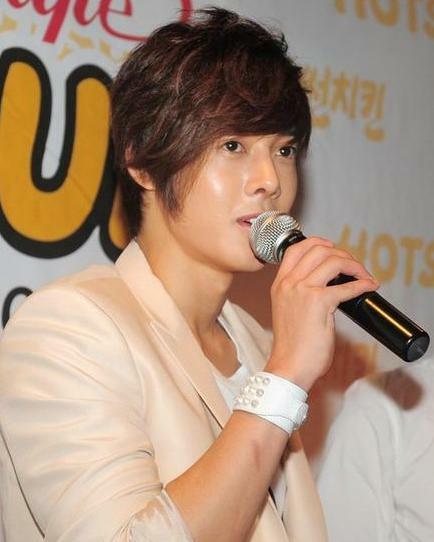 2 Responses to "[info] Netizens, “Kim HyunJoong looks different now!” + [pict] [photo]"
his thin after BOF. please put on some more weight. sleep well, eat well, rest more…. he will never do plastic surgery….he sort of a person who be what he is. he also honest and never afraid to speak to the point….